We have a dedicated CNC router operator in house to do all your Router cutting. We cut simple and higher complexity patterns. one offs and multiples. Accuracy is the result of a cut from a CNC Router and we use many small and large mediums. Catering for all manner of sheet sizes, Showcase Plastics is happy to advise our CNC router is 4000 x 1500 in size. 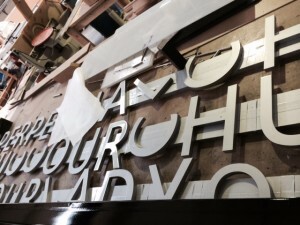 We can fit the larger sheets of acrylic, aluminium, ACM, Mdf, fibre boards, brass and copper just to name a few. Whether it be shapes, patterns, words or pictures. Depending on the required file which can be in a eps, dxf, or ai format for cutting, we can cut , bevel, v groove and etch as long as it falls within the scope of routing, and on the correct materials. You provide a file in eps, ai, or dxf suitable for cutting, and we will do the cut. Have 'the Beatles' ever looked better than they do here? The customer says, no, they have not. A nice thick gloss black cast acrylic is the material of the day. 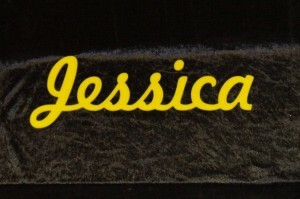 Showcase Plastics & Displays can also create non-illuminated signs. They are a cost effective way of branding a business and they do not require the same level of care. Router cut letters, followed up with 2 Pack paint applied in house. We cut text and numbers out easily on the CNC router, this name being a 3 mm acrylic sample to demonstrate. 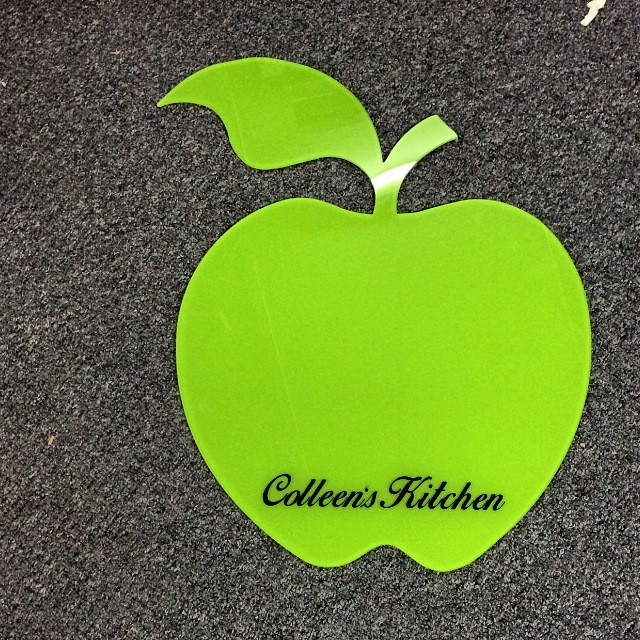 A customised one metre green apple 'white board' designed by one of our staff, with vinyl cut lettering to customise it even further.